Prostate cancer is the most common cancer in men in the United States, just after skin cancer. It is even among the top diseases affecting men in 2016. Prostate cancer is also the second leading cause of cancer-related deaths in men in the US. Despite its high prevalence, most men don’t seem to know very much about prostate cancer which may cause a delay in seeking treatment. The myths surrounding prostate cancer may also contribute to this problem as well. In this article, we explain the 10 most common prostate cancer myths and why they simply aren’t true. It is true that most men don’t die as a result of prostate cancer. The 5-year survival rate for men with prostate cancer is 99%. However, the five-year survival rate drops to 28% of men whose prostate cancer has spread to other parts of the body. The fact that every year around 26,000 deaths are caused by prostate cancer is reason enough to not view prostate cancer in a light-hearted way. To reduce your risk of prostate cancer, make sure to keep up with the latest research through sources like Glozine latest health news or to follow health trends through Glozine lifestyle fitness. Men often confuse the symptoms of prostate cancer with those caused by an enlarged prostate. 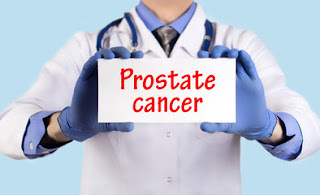 In reality, prostate cancer manifest completely differently than an enlarged prostate. The truth is that prostate cancer rarely causes any symptoms in the early stages. Once the symptoms first appear, the cancer has probably progressed significantly. An enlarged prostate is a condition also known as Benign Prostatic Hyperplasia (BPH). The condition causes mostly problems with urination but it is not a recognized risk factor for prostate cancer. What is recognized as a risk factor for prostate cancer is being African American, being tall, family history, and a sedentary lifestyle. It was a long-held belief that vasectomy increases your risk of prostate cancer but newer studies found no such link. A meta-analysis of a large number of studies on this topic was published in a recent issue of Scientific Reports. The major finding of this research was that the link between prostate cancer and vasectomy is small. Although it is true that prostate cancer mostly occurs in men 65 years and older, younger men can be affected as well. Around 65% of men diagnosed with prostate cancer are in their 60s. The cancer is extremely rare in men under 40 years of age but the numbers drastically increase after the age of 40 with 1 in 38 men being diagnosed with prostate cancer. Contrary to popular belief, a higher frequency of sexual activity does not increase one’s risk of prostate cancer. A study published in the British Medical Journal actually found the opposite to be true – the more a man ejaculates during a single month, the smaller his risk of developing prostate cancer. The prostate-specific antigen (PSA) test was approved in 1986 by the US Food and Drug Administration. Although the test does have the potential to detect the early signs of prostate cancer, the truth is that 75% of positive tests are false positives. Immediately after complete removal of the prostate gland through a procedure called prostatectomy, around 75% of men experience short-term mild incontinence. Most men regain complete urinary control sometime after the procedure so you don’t have to worry about wearing adult diapers just because you got your prostate removed. There are different types of prostate cancers, some are aggressive while others are slow-growing. Your doctor will be able to tell which type of cancer you have which will determine if you need to undergo treatment. Older men who are not expected to live beyond 10 years usually don’t receive treatment for benign forms of prostate cancer. The link between prostate cancer and testosterone is stronger in low testosterone levels than with higher T levels. This makes perfect sense considering that most men with prostate cancer are older men who naturally have lower T levels. A study published in the Journal of Clinical Endocrinology & Metabolism even found a link between phthalates and cancer. Phthalates are hormone-disrupting chemicals found in everyday plastic products. Although the risk of prostate cancer is pretty high in men, most men don’t seem to know much about this common type of cancer. This may be one of the many reasons why we’re seeing so many myths about prostate cancer.